How to get your dog to wait patiently to have his photograph taken? Perhaps simply wait for him to relax, close his eyes and have a little nap. 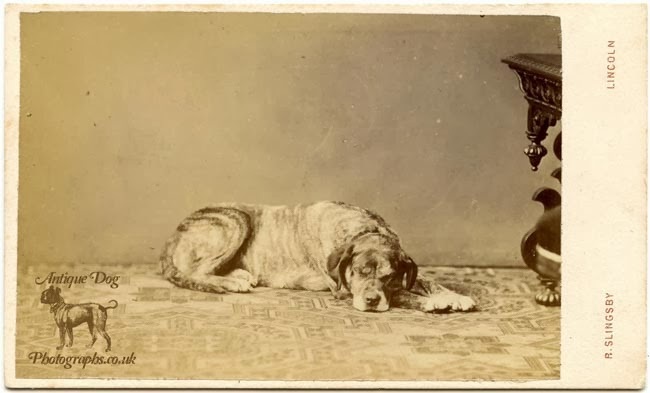 This is certainly what has happened in the case of the handsome brindle Mastiff in this photograph. Posed against a simple backdrop, the different shades of colour in the dogs coat can be easily picked out. The piece of dark furniture to the right of the image gives a sense of scale. The colour is either stone-fawn with black points or brindled. No white should be permitted as a rule, but a white toe will occur occasionally. The photograph was taken by Robert Slingsby. 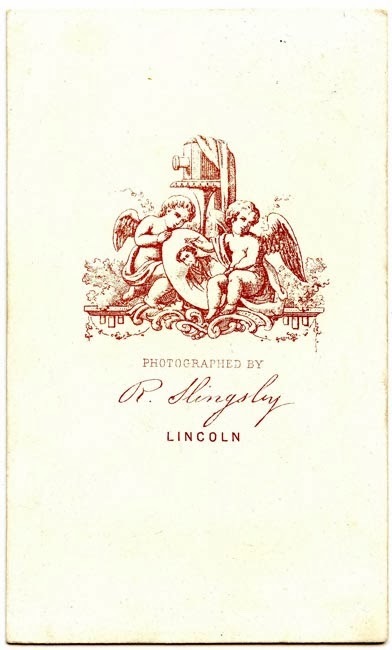 Born in 1839 Slingsby began his career in Lincoln in 1859, early in his photographic pratice he was also a stationer and dealer of artist supplies. His most important contribution to the world of photography was his research into the use of flash light for photography. As early as 1869 Slingsby had a photograph reproduced in Illustrated London News that had been created with artificial light. In 1890 Slingsby was granted a patent for a device that synchronized a flash lamp with a camera shutter. He died in Lincoln in 1895. 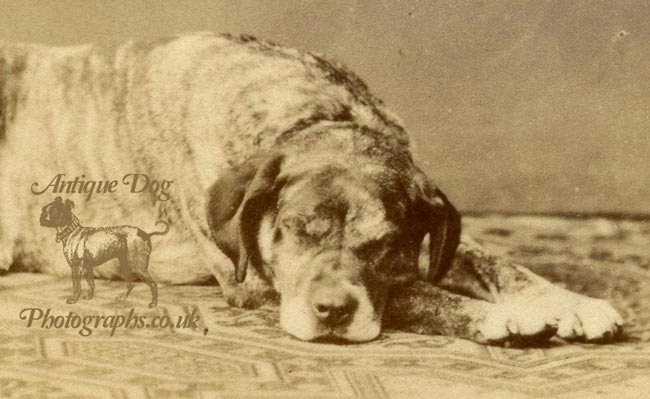 The Mastiff along with the Greyhound is one of the most ancient of all dog breeds. Like many breeds, its original origins are uncertain. But it is most like to have been developed in the far eastern regions of Assyria. 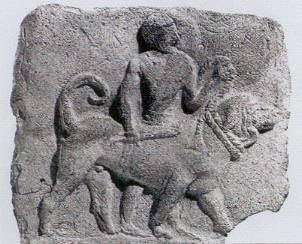 In many museums examples of Mastiff type dogs can be seen depicted on bas-reliefs that date back as far as 2200 B. C.